Recently the team at Web Advantage created a site for a photographer. This meant that they needed to use a template which showed his skills to their best advantage. 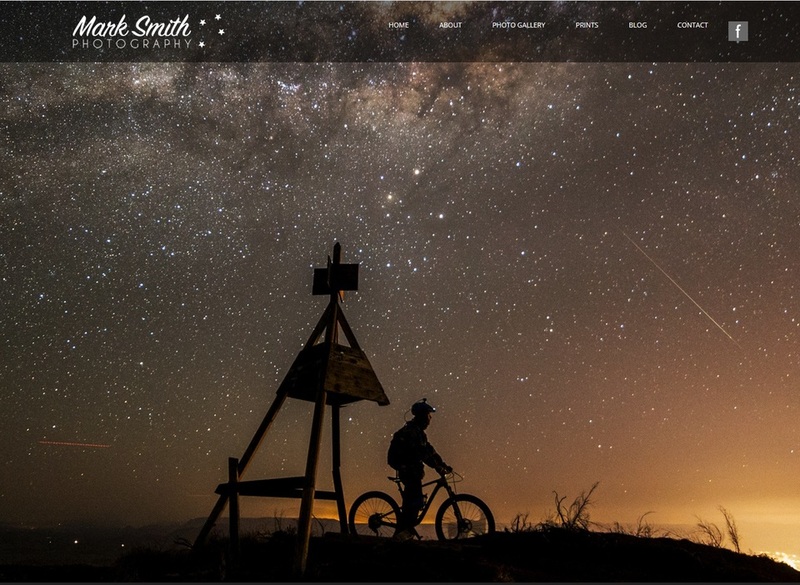 As a result, a full width template was chosen, which the home page demonstrates fabulously. There is also a gallery which enables web visitors to view larger copies of his photos once clicked upon. Web Advantage are the resellers who designed this site, showing us a great example of what is possible with our website builder. Visit this designer's website to see more of their web design work. Take a look at the website they designed for inspiration! Jill Main's website is a lovely example of the power great images hold. Her background photo sets the tone of her brand and the gorgeous scrolling images of her products on the home page sell her products well! This DIY website uses our popular mobile responsive Simply Carts Clean theme. Having a selection of product photos which link to her shopping pages at the bottom of her home page is a fabulous idea. This reduces the number of clicks a web visitor has to make to purchase a product. You can see Jill's site here to check out her other great website work. Recently we wrote an article called SEO & AdWords: What's the Difference and Which One is Best for Me? In it we talked about the pros and cons of using both SEO and/or AdWords as a way to get traffic to your website. Let's investigate each of these a bit further. headings - an h1 is automatically given to your page title by the CMS. You can manually add an h2 and h3 heading yourself by highlighting the heading and then clicking the drop down arrow when using the Tiny MCE 3.5.10 editor. This is a rather interesting one. Some say keywords are on the way out, others say they remain an essential part of SEO. In the meantime, using a keyword and it's synonyms is a good strategy to use. The key is not to overuse a keyword, as that is seen by Google as keyword spamming and will negatively affect your website. Instead use the keyword and it's synonyms sparingly and only where they fit naturally. Writing for your audience and not a search engine is essential! Your meta title should be short, descriptive and contain your keyword for that page. The keyword should be as close to the start of the title as it can be, but needs to be in a sentence and not a list of keywords. Eg: Plastic Dinosaur Toys for NZ Toddlers. Your description can have up to 320 characters in it. This includes spaces, letters, numbers and symbols. Once again the keyword should be in the description as close to the start as you can. The description needs to be written in such a way it entices a visitor to your site, accurately describes what the page is about and includes a call to action. A call to action or CTA is when you tell someone what they should do next. Eg: Toddlers love our plastic dinosaur toys and parents do too! With their realistic skin and teeth, they're a firm favourite with any toddler, while their durability and non toxic plastic ensures parents know they are buying a safe and value for money pretend play toy. See our range for yourself now! Your file name should also contain your keyword and be short and sharp. Headings are different from your page title. A heading can be found anywhere within a page or a blog. Headings are used to help break your page up into manageable chunks, make it easier to read and highlight important parts of the text. 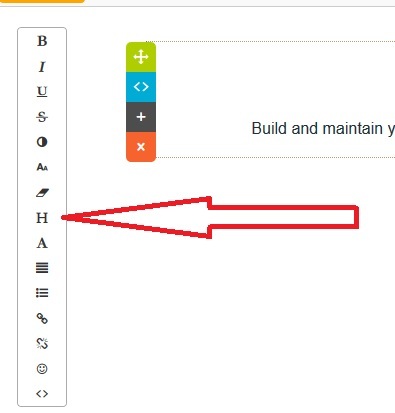 In the CMS, your heading can also be given a heading tag by you according to how important the heading is. An H1 (heading 1) is automatically done by the CMS and this tells search engines this is the most important title on that page. Research has shown that you should only ever have one H1 per page, with an H2 and H3 being the main ones you should use. Why Should I Do Keyword Research? How Many Keywords Do I Need to Find and Use? Our next competition will be drawn in May 2018. There are professional web designers all over New Zealand and the world who can help you customise your website design. Our in house team can offer a tidy up of your website for just $100+GST. Or contact any of our listed web designers for a full website design or makeover quote. No matter who you use for your website design, your website remains powered by our awesome content management system, so you can easily make updates to your website long term. Our PHP servers are load balanced, with MultiAZ database fault tolerance, to provide maximum up time. All PHP websites get a free SSL certificate and free https hosting. We support the latest version of Wordpress 4.8 running on PHP7. The hosting fees are the same as websites built and hosted on our CMS powered platform.